As Tet holiday is the most important time of a year to Vietnamese, just like Christmas and New Year combined to Westerners, there are some notes for travellers who want to travel to Hoi An during this holiday to avoid bad experience. Those tips about hotels in Hoi An, where to stay, what to do with help you out. Like other governmental bodies, the Visa issuing authority, including Vietnamese embassies, consulates and Immigration office, would be closed from January 21st and will only get back to work on January 30th. Therefore, you should work out your travel plan carefully and apply for the visa as soon as possible to avoid the unnecessary delay of flights. At the airport, the immigration officers on call remain open to give you visa stamp for visa on arrival. Choose resorts, hotels in Hoi An that have airport pick-up service so that you needn’t worry about transportation to Hoi An. 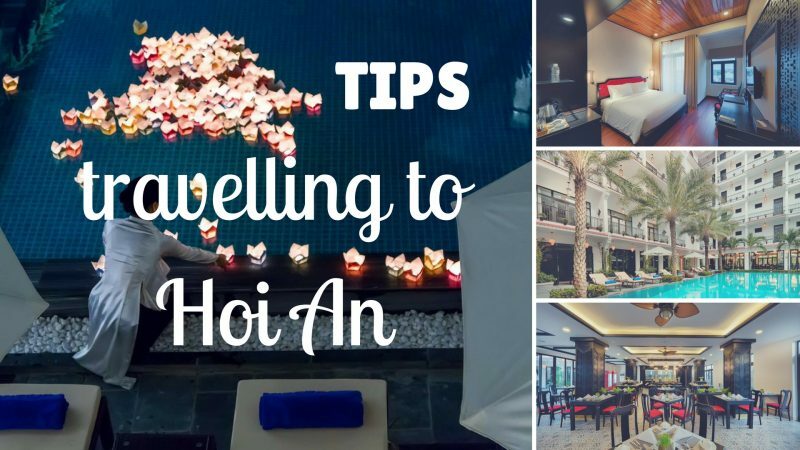 As many foreigners share the same interest in experiencing a traditional Tet in Vietnam, it would be not easy to get rooms in Hoi An’s hotels, especially high-quality ones, if you didn’t book in advance. The 9 day holiday means that the locals also have ample of time to head Center and South for holiday too and Hoi an is always a quality choice. Transport is another matter to be concerned. Reserve your airplane tickets and train tickets as soon as you can and expect holiday surcharge. With 45% discount if you book 15 days in advance, Belle Maison Hadana Hoi An Resort and Spa offers the best room rates in Hoi An. Don’t expect food, clothes, etc. to be as cheap and reasonable as stated in your travel guide. On Tet holiday in Hoi An Ancient Town, everything, with bill or not, will involve a holiday surcharge, from a bowl of Cao Lau to a suit made to order. To relieve you from unnecessary stress, you just need to choose Rice restaurant to enjoy 10% off the bill. When you want to buy something in Hoi An shops during Tet holiday, be careful, especially with bargaining. Sellers have strong belief that if their new year starts strong with the generating of many sales this will determine a prosperous outcome for the year. Hence it can be very disappointing and annoying to a merchant if you inquire about an item to later not buy it or you bargain so much. This is a sign of loss prosperity through-out the year, to their opinions. In order not to get their anger, try to buy at least one thing in their shops, even the smallest and cheapest one, in case you have entered their shops and asked for goods. The advice is to look at the item carefully from outside before getting inside. Looking does no harm.